The new 2019 Yamaha YZF-R3 was previously spotted during its pre-production test runs in Indonesia. Two test mules, sans camouflage, were seen during their road tests, hinting that the motorcycle is very close to being production ready. In the latest update, the next generation model has been revealed through leaked patent images. The leaked images reveal the updated hardware and design changes on the new 2019 model of Yamaha’s 321cc motorcycle. 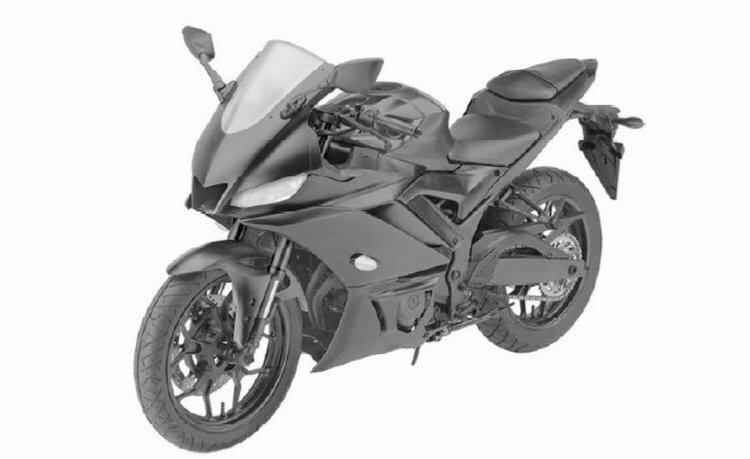 The 2019 Yamaha YZF-R3's leaked patent images reveal the new design and the updated hardware. The engine, however, does not look any different. The designs were filed with patent offices in Australia and Turkey. 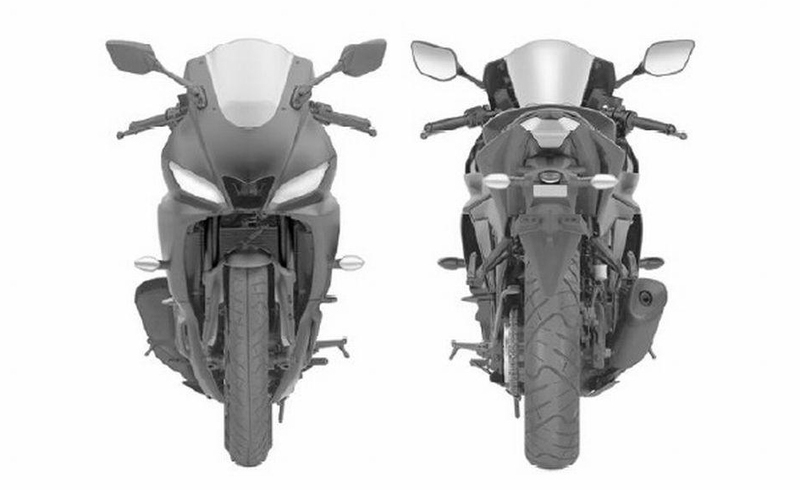 Visually, the new YZF-R3 will feature a revised fascia reminiscent of the 2018 Yamaha YZF-R15. Up front, are dual full-LED headlights with an air-intake in the centre and a more premium, upside-down telescopic suspension. The Indian-spec 2018 YZF-R15 doesn't feature the USD setup, though. We may see the same being followed for the YZF-R3. On the sides, the fairing features an all-new design. The front blinkers have been repositioned on the new motorcycle. The litre-class YZF-R1 inspires the fuel tank design. The revised design offers relatively larger knee recesses. Everything following the fuel tank is near identical to the current YZF-R3 and does not see a massive overhaul in terms of design. In fact, even the exhaust on the motorcycle in the patent images looks unchanged. The engine, too, looks similar to the unit on the current model, but it may have received some internal changes that would be aimed to comply with the Euro V emission norms. The new Euro V emission norms, as regular readers would already know, are scheduled to come into effect in 2020. The performance numbers may receive slight revision with the new compliance. For reference, the current YZF-R3 uses a 321 cc liquid-cooled, 4-stroke, in-line 2-cylinder, fuel-injected engine that produces 42 PS of power @ 10,750 rpm and 29.6 Nm of peak torque @ 9,000 rpm. The front of the motorcycle receives full-LED headlights, sharper styling and upside-down telescopic forks. The new Yamaha YZF-R3, with the various mechanical and equipment upgrades, will most likely carry a premium over the current model’s INR 3,48,000 (ex-showroom Delhi) tag.